From the smash hit Musical Mamma Mia! From the smash hit Musical Mamma Mia!. Composed by Benny Ulvaeus. Arranged by Greg Gilpin. Performance Music Ensemble; Single Titles. Choral Octavo. Choral and Broadway. Octavo. 12 pages. Alfred Music #00-25200. Published by Alfred Music (AP.25200). 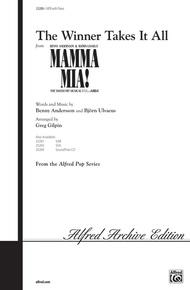 Bring Broadway to your concert with this moderate tempo ballad from the international musical hit, Mamma Mia!, currently running in New York and 18 other cities around the world. 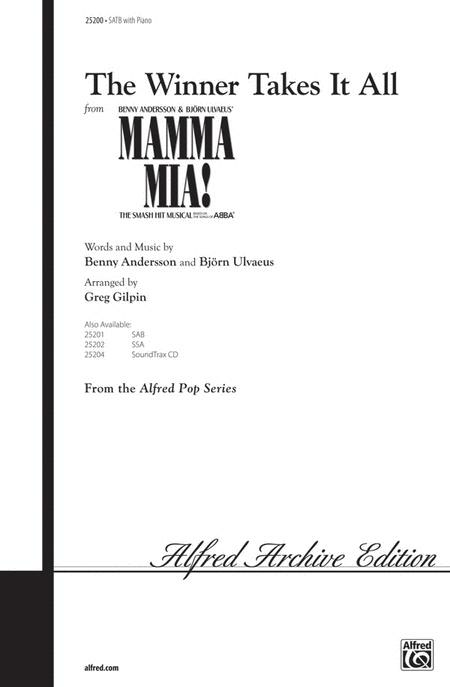 The show incorporates the music of the Swedish vocal group ABBA, and Greg Gilpin has turned this hit into a fine choral work.